This contest is one of the largest of this kind in the area. It includes contestants from: Washington, Oregon, Idaho, Montana, North Dakota, South Dakota, Wyoming, Alaska, British Columbia, Alberta & Saskatchewan. NOW OPEN TO ALL FIDDLER FROM ALL STATES. Some of the top national fiddlers, as well as many state and regional champions, will be competing in the eight certified fiddle divisions at this year’s two day affair. 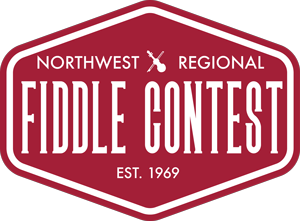 The winners of each division will be certified for the National Fiddle Contest in Weiser, Idaho. Judges are secluded to a room removed from the stage, this way the judges do not see the contestants, hear announcements of the contestant’s names or hear the audience applause. They hear only the tunes as they are played and broadcast to the judge’s room. The contestants are judged on timing, dance ability, tone and difficulty. Each contestant plays three tunes per round: a hoedown, a waltz, and a third tune of their choice other than a hoedown or a waltz. No tune can be repeated by a contestant during the contest, each round must be kept under four minutes of playing time or points are deducted from the contestants score. All this is combined for exciting listening and high-powered competition. To promote and perpetuate Old-Time Fiddling and Folk Music. To encourage young people to develop their music talents and afford them opportunities to perform in public thereby improving their spiritual, mental, social and physical condition and thus better preparing themselves for become successful citizens. To hold jam sessions for the members own enjoyment, as well as educating the public to the values of this type of entertainment.